The Bengali renaissance had generated in the 19th century an unprecedented cultural awareness resulting in a social as well as intellectual awakening that brought about massive social reformation with regard to marriage, dowry, and caste system and so on that shook moral and religious orthodoxies. But the same spirit also showed the true vigour of free thinking, shedding light on the centuries-old practices darkened by superstitions. In the whole process, the renaissance thinkers not only ignited a logical framework of mind in explaining social relations, but also enkindled the thirst for scientific knowledge, a tangible result of which was soon to be manifested by the cutting-edge inventions of the first generation of Bengali scientists such as Sir Jagadish Chandra Bose. The legacy was duly passed on to the second generation that saw the emergence of Satyendranath Bose who, having developed two theories of quantum mechanics with Einstein, made the Bengalis as a nation proud in the whole world. But the same milieu gave rise to another noted scientist Meghnad Saha, whose contribution to science was no less significant but whose life has remained mostly unnoticed by later generations. 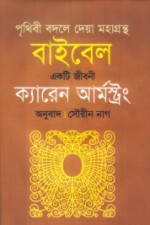 The book Meghnad Saha'r Jibon O Darshan is a tribute to the life and works of Saha. It brings to readers' attention not only his scientific inventions, but also the life he had led as a scientist, activist and social reformer. However, the book is not a biography as one would expect. Edited by Rathindranath Saha, it is a collection of 20 essays written by distinguished Bengali science writers that offer insights into Meghnad Saha's scientific theories, and his dedication to social reformation and change. Meghnad Saha was born on October 6, 1893 in a small village of Seoratali, which is just 45 kilometres away from Dhaka. He was the fifth child of his parents. The family had a very meagre income and Saha's early education was beset with many hardships. Despite all the pressure from his father to leave school, he could continue his education because of his brilliance that won him scholarships. He came to Kolkata in 1911 to join the honours course in Mathematics at the Presidency College where, much to his surprise, he found himself surrounded by many scientists and thinkers. He passed his BSc in 1913 and MSc in 1915 in mixed mathematics. At the beginning of his career, he joined Kolkata University as a lecturer in physics. Always inquisitive to get acquainted with the latest concepts in physics-- and perhaps his access to German language which he had learnt at an early age--turned his interest to astrophysics, the scientific field where he was to bring about some major breakthroughs. In 1920, he published his now famous paper 'On the Ionisation of the Solar Chromosphere' in the internationally acclaimed Philosophical Magazine, which introduced him to the world of science. Apart from this one, his fame and contribution to astrophysics also rests on papers such as 'On a Physical Theory of Stellar Spectra' and 'On Radiation-Pressure and the Quantum Theory'. The book zooms in on all these facets of Saha's life, but it also emphasises how his interest changed from astrophysics to geophysics and river science. Surjendu Bikash Kar Mahapatro makes it clear in his essay that when Saha saw Indians reeling under the havoc wreaked by flood, he shifted his focus to river science only to develop research on how to pre-empt the devastation of flood. For this, he had to compromise his interest in astrophysics at a time when he was at the pinnacle of his scientific inventions with new ideas coming to his mind. Mahapatro also points out that if it was not for Saha, then it would be very difficult for the later generations to continue their studies in physics and other related branches in India. Among other essayists, Shantimoy Chatterjee and Rathindranath Saha deserve mention because they highlight his enormous contribution to alleviating poverty and eradicating unemployment. But as has already been implied, the main attraction of the book lies in the three essays authored by Saha himself, especially the two that deal with science's relation with poetry and religion respectively. The one on religion is a highly enlightening piece that once again demonstrates how Saha sustained all through his life the true spirit of renaissance following which he brought the welfare of human being at the centre of his scientific practice. Shoureen Nag translates Karen Armstrong's 'The Bible: a biography'. The Bible is the most widely circulated and one of the most influential texts in human history. Yet the exact origins of the Bible remain unclear. Over centuries, the Bible has gone through much revision and re-interpretation. The author, a renowned historian with extensive knowledge on religion – notably the Abrahamic faiths, draws into perspective the circumstances under which the Bible came into being. After going through her research work on the Bible, readers are left with a clearer picture of what the Bible is and how revision and re-interpretation were important factors in the composition of the modern day religious scriptures. Bible readers will be encouraged to read the holy book with a new perspective with the knowledge that the interpretations that they find in the modern book have actually been put there by religious experts of those times, often to sanitise some of the more 'unholy' actions taken in the name of religion. Some of the historical circumstances in which the Bible had been transformed are also laid down and how they are similar to some of the actions taken by the society of those days is also demonstrated in some cases. The highly contrasting ways in which the Jewish and Christian scriptures come together in the Bible and the very different methods used to interpret the scriptures over the centuries is described in detail. One of the arguments of this book is that a particular text means differently to different people. Their actual meaning has been argued in the past, and they shall be argued in the future. The Bible like many other holy books including the Quran can be used for achieving different aims. The Bible may be utilised for achieving the greater good of mankind. Similarly, it may be used by many to justify acts of war, as has been done by religious scholars and political leaders in the past, and will probably be used in the future to legitimise genocides and other 'unholy' acts. Armstrong also endorses the viewpoint that Jesus Christ, the prophet of Christianity, was at that time hardly acknowledged as being a reincarnation of God. She notes that although Jesus was referred by St. Paul as 'the son of God', according to Armstrong, these words were used in the Hebrew perspective as referring to someone who has a special relationship with God similar to the ancient Jewish kings. St Paul never claimed that Jesus himself was God. Also, Armstrong says that discounting the facts found concerning him in the New Testament, there is little historical evidence to the actual life and work of Jesus Christ. Another essential point that should be mentioned is how Armstrong thinks that the destruction of King Solomon's temple in 6th century BC, and the destruction of the second temple in 70 BC followed a few decades later in the razing of the holy city of Jerusalem resulting in the formation of religious communities dependent no longer on physical buildings or places but on words written down in scrolls and later collected into books. After reading her research work, many readers are likely to wonder how religious interpretation was styled to benefit a particular group of people at the expense of others, and how a fundamentalist interpretation of these religious texts shall undoubtedly erupt in religious violence. Translating a book like this from its original English to Bengali can never be an easy task. As the book was filled with Latin, Hebrew and Greek words, the translator's job was undoubtedly much harder. 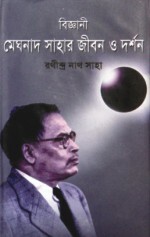 Although Nag's translation of Armstrong's book retains the original meaning in which the book was written, the Bengali version is understandably not as easy to read as the original version.